Quickie Summary: State “Trunk” Highway 105 is a brief tour that connects to Highway 35 on the south side of Superior on the east end, running to the town of Oliver and then crossing the St. Louis River into Minnesota on a unique two-level bridge, with the (narrow) roadway on the bottom and railroad tracks above. 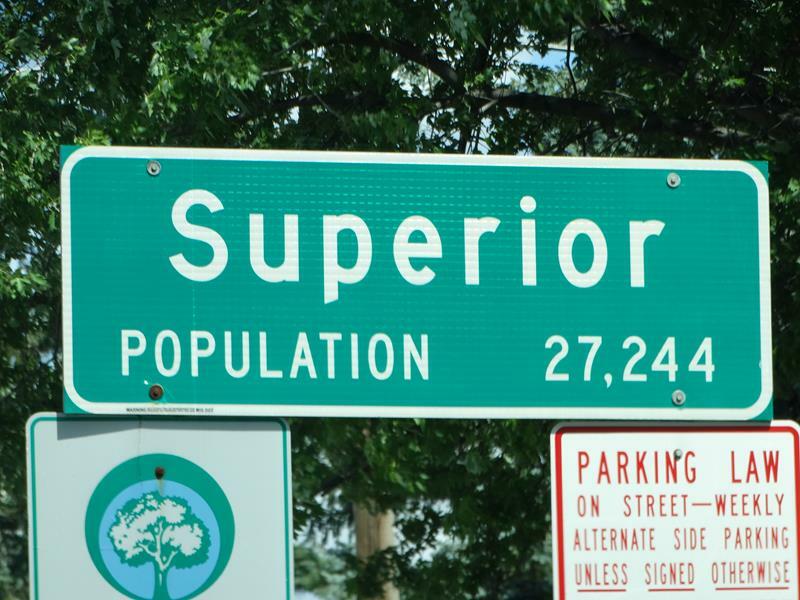 The Drive (East to West): Highway 105 begins at Highway 35/Tower Avenue at the southern end of the City of Superior (pop. 27,244), which is nestled into Wisconsin’s northwestern corner and part of the dynamic Twin Ports area that also accompanies Superior’s twin sister city of Duluth, Minnesota. 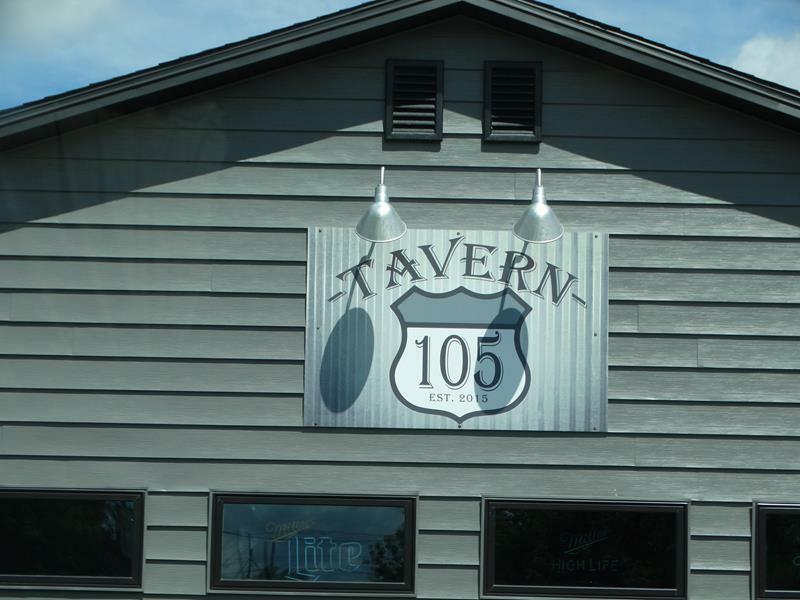 From Highway 35, Highway 105 heads west past a tavern named after the highway (we like businesses named after our State Trunk Tour roads) and into the rural area southwest of Superior for a few miles. It’s a brief but pretty drive along Highway 105 from Superior to Oliver. 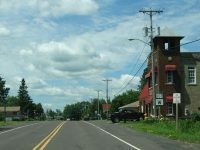 After a few miles, Highway 105 becomes Union Street and enters the small village of Oliver (pop. 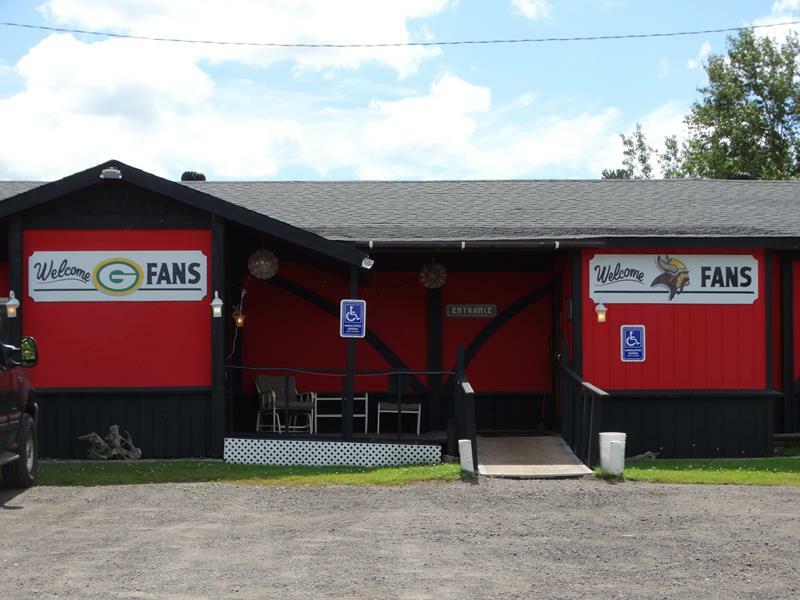 399), which lies close to the banks of the St. Louis River, which demarcates the boundary of Wisconsin and Minnesota. 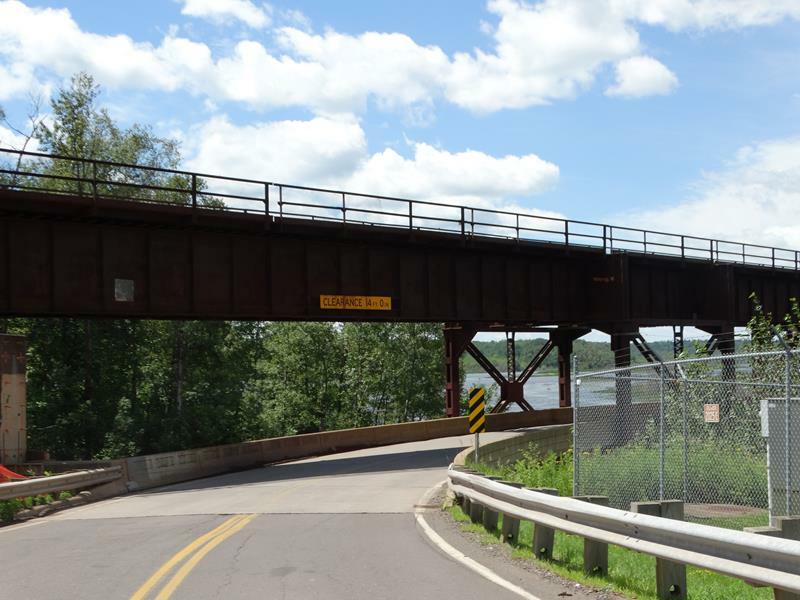 Just through the village, Highway 105 makes a brief bend onto the Oliver Bridge, an unusual crossing over the river that features a road directly underneath some busy Canadian National railroad tracks. 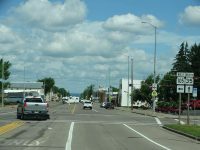 Highway 105 heading onto the Oliver Bridge; note the railroad tracks overhead. The Oliver Bridge was built in 1910. The railroad was, and still is, a very busy line connecting Winnipeg with Chicago and Superior with locales across Minnesota and the Great Plains. Back in 1910, the road crossing was considered fairly minor and usable for both cars (which were newfangled at the time) and horses. 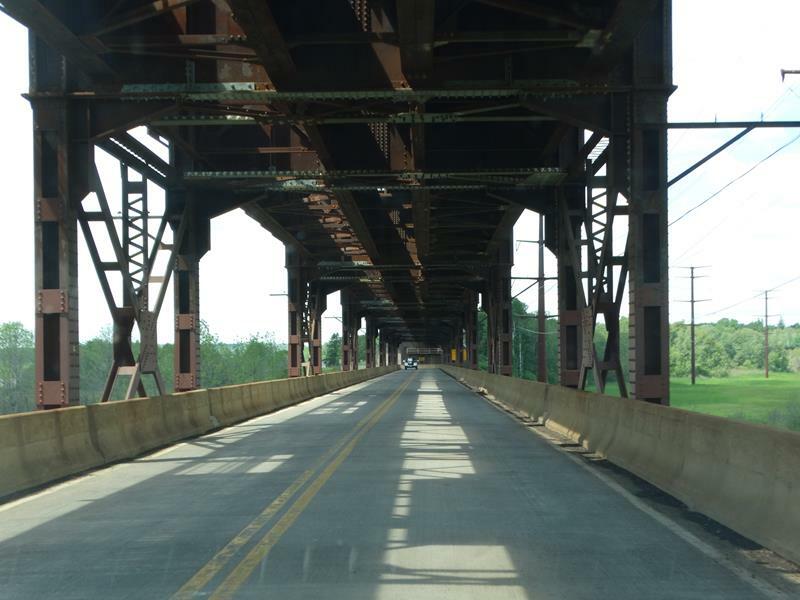 In fact, the original bridge deck on this level was wooden and wasn’t replaced with steel and reinforced concrete until 2000! Today, Highway 105 uses the road but it remains narrow – and the turns that access the bridge are pretty tight. This is definitely a time to follow the low speed limit signs. Highway 105 ends here at the Minnesota state line; definitely an unusual view for a typical highway end in Wisconsin. Halfway across the bridge, Highway 105 technically ends at the Wisconsin-Minnesota state line. 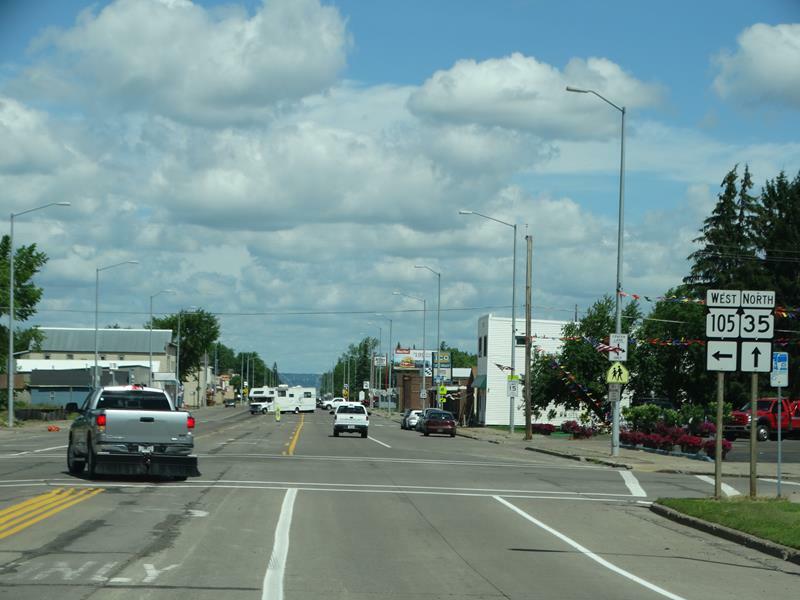 You continue across on what is now Minnesota Highway 39 into the Gary-New Duluth neighborhood of Duluth, Minnesota. 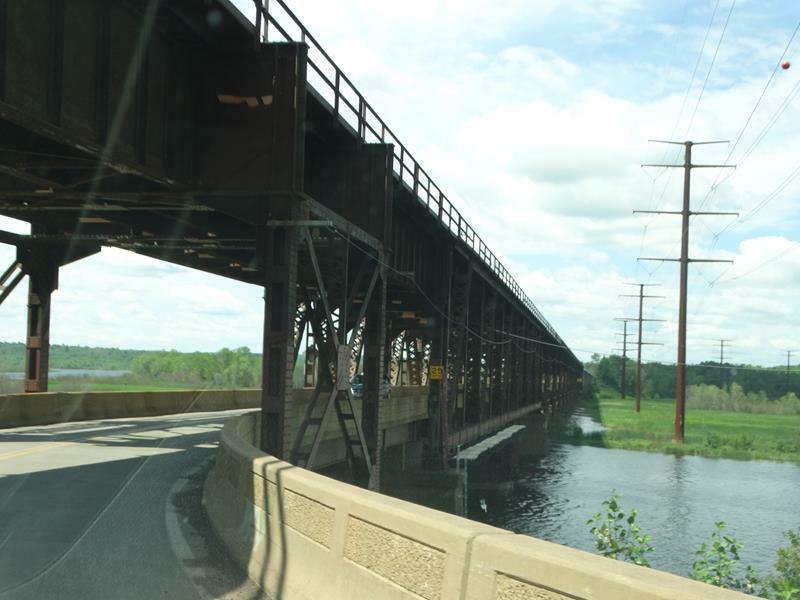 You can follow Minnesota 39 to Minnesota 23 north and into Duluth for a ride back into Superior via U.S. 2 or I-535, or turn around and experience the coziness of the Oliver Bridge again! 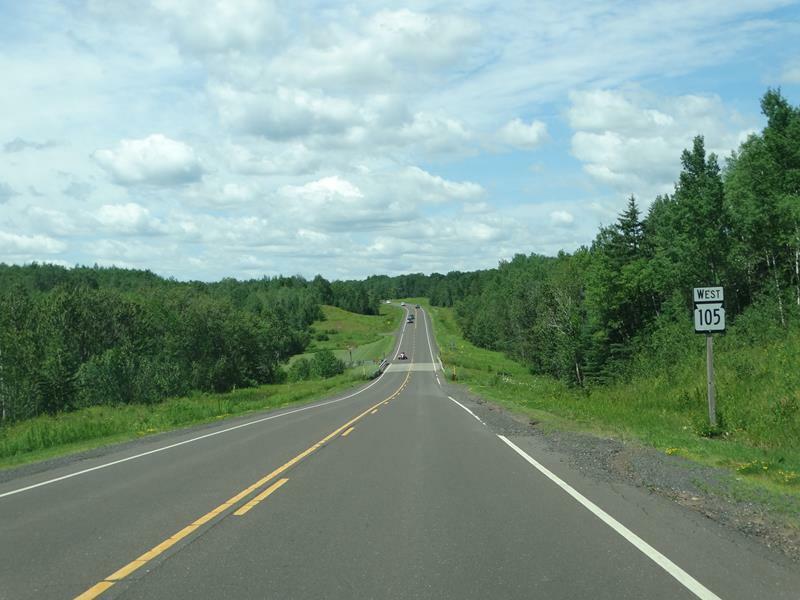 Then, it’s only five miles back to Highway 35 and the ride north into Superior or south to Big Manitou Falls or through the North Woods towards Danbury and Siren. 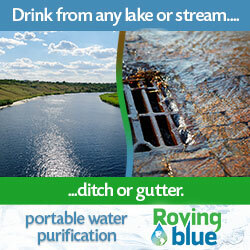 Either way, a pleasant drive awaits! The "Oliver Bridge" is a unique dual-level bridge where the two-lane highway actually travels beneath the railroad tracks on the upper level of the structure. Highway 105 has been in this location since 1924; the bridge over the St. Louis River opened in 1910.